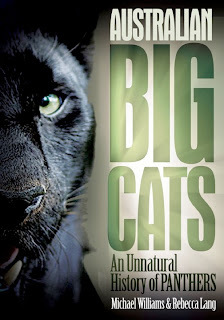 The Australian Big Cats book is now for sale. Australia only at this stage due to problems with Amazon paperwork. Please expect a delay of about a 7-10 days due to a backlog of orders. Paypal is our online option. Get it here. We are also accepting postal orders/bank cheques.